Once the bottle is open, the oxidation process starts. In the beginning this is good as it softens the flavors and opens the aromas of the wine. Thus the reason you decant wine. However, if this process continues too long, the wine goes flat and is undrinkable. The bigger question might be: “When do I pour out the wine?” I believe your palate will tell you. If at the end of a couple days you sample the wine and it tastes fine, then continue to drink it. The difficulty is that wine will not go from good to bad right away and that fact leaves this sort of gray area on the drinkability of the wine. You will have to be the judge. To get a better perspective on the question I asked a couple of friends in the restaurant business what their opinions were. 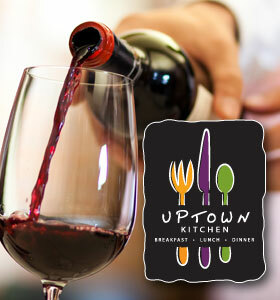 Chris Oliver, general manager at Uptown Kitchen, agrees that three days, depending on the wine, is about right. However, at Uptown they have a pretty good system in place. When they open a bottle, it gets dated and at the end of the day the bottles have the air sucked out of them by using a vacuum wine saver. 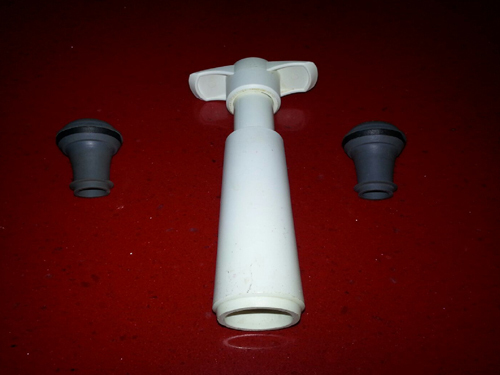 In this case they use a VacuVin Wine Saver Pump and Stoppers. They are readily available for around $12 to $15 through Amazon. Chris says they have increased bottle life to about five days or longer. After five days, the wine is tasted to determine its flavor and drinkability. Uptown stores its reds at room temperature and whites go back in the wine refrigerator. I have never tried this method but it makes perfect sense to get the oxygen out of the wine to stop the oxidation process. I also spoke with our good friend Michele Robinson at Michael’s Restaurant in Elkhart. She had a similar response to my question. She said two to three days maximum was the bottle life of most of the wines they serve by the glass. She told me she gets worried about the flavor profile and drinkability after two days. She too stores the reds at room temperature and the whites in the wine refrigerator. My routine is similar. I pour almost all the bottles of wine I drink into a small decanter that I keep handy on our kitchen counter. If there is still wine left in the decanter at the end of the evening I cover the decanter opening with Glad Press’n Seal Wrap. It works really well in sealing my small decanter. I leave it on the counter until the next day. For white wines, I re-cork them and store them in the refrigerator. Rarely is a bottle of wine open more than two days at my house so I don’t worry too much about its shelf life. Re-cork the bottle after each glass pour. When storing the wine, make sure the cork is tight and store it standing up. This minimizes the wine surface exposed to oxygen. 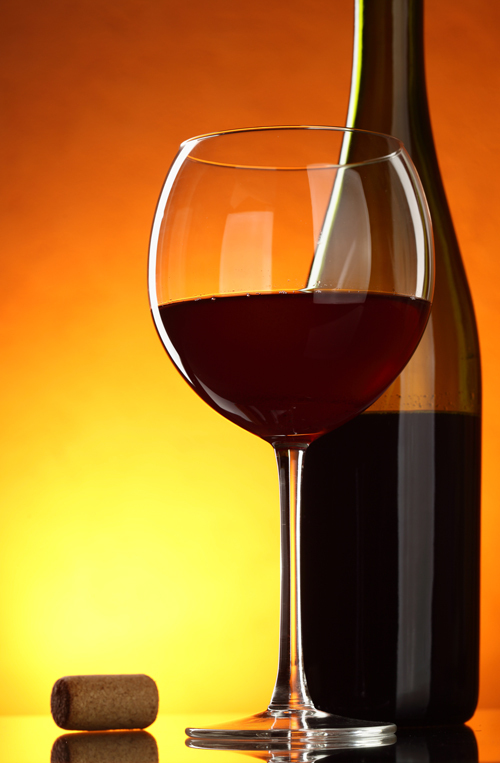 Minimize or prevent temperature changes to your wine (don’t store next to a stove or in the sunlight, for example). You can store your corked bottle, including red wines, in your refrigerator. This slows the aging process. You can do this up to three to four days. Be sure and pull your reds from the refrigerator about half an hour before you intend to serve the wine. This will get the wine up to a desirable serving temperature. Date the bottle on the label if you think there might be some confusion. This tends to happen if you have several bottles open at once. Younger wines will store longer than older wines. Be very careful when storing open bottles of wines that are over six to eight years old. Any wine over 10 years, I would not store at all. This past weekend Mrs. Tiedemann and I were in Chicago and had the opportunity to have dinner with our friends Jack and Heather Stead at Mastro’s Steakhouse located at 420 North Dearborn (312-521-5100). It was our first trip to Mastro’s. The restaurant was nice, and the service and the food were good. My only complaints about the restaurant: the music they were playing in the dining area was very loud and it was rather dark. It was hard for us to read the menu and wine list. It was so dark that the servers carried flash lights. In any case if you haven’t been there it is worth trying. Mrs. Tiedemann and I have added it to our list of “go to again” restaurants in Chicago. 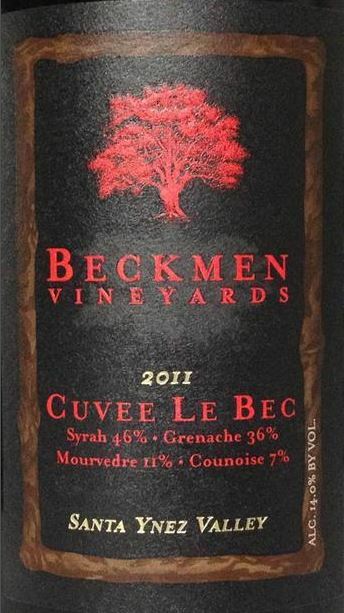 For the evening’s wine, I ordered a couple bottles of the 2011 Beckmen “Cuvée Le Bec” Santa Ynez Rhône style red wine. The wine is composed of 46% Syrah, 36% Grenache, 11% Mourvèdre and 7% Counoise. The wine offers up a nose and palate of black fruit, smoke and spice. This is a medium-bodied wine with a balanced mouth feel and a finish of a little spice and acidity. Overall, this is a very drinkable wine at a great price point. I highly recommend it. 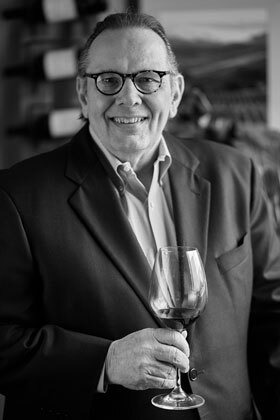 I have teamed up with Kevin Hogan of Crossroads Vintners for a Tiedemann On Wines Wine Club tasting at Lucchese’s on Tuesday, November 18. Kevin and I have selected some great wines for you to taste. The tasting starts at 6:00 p.m. and will run to 7:30 p.m. Cost is $20 for Wine Club members and $25 for others. Don’t miss this chance to pick-up some great wines for the holidays. 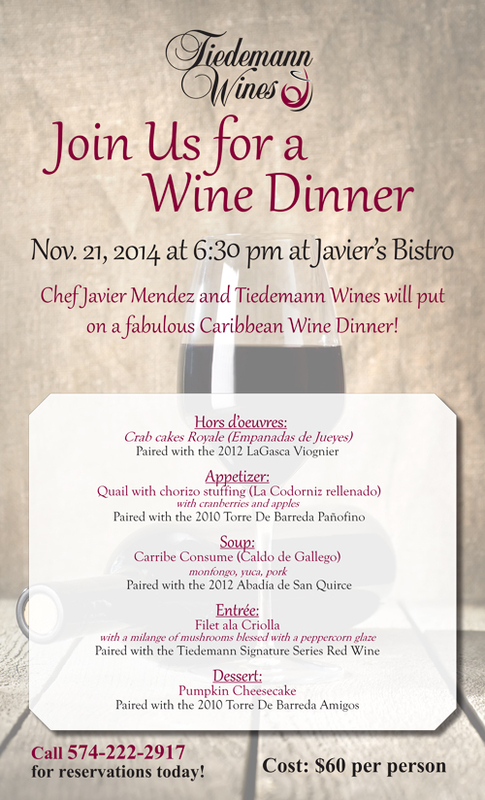 Chef Javier Mendez and I have teamed up to put on a wonderful Caribbean style wine dinner on Friday, November 21, starting at 6:30 p.m. See the attached flyer (click on the image to the right) for all of the information. 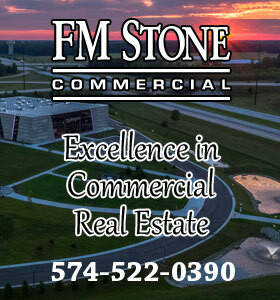 Call ahead for reservations at 574-222-2917. The cost is $60 per person. We have paired some great Spanish wines with Chef’s’menu. Tiedemann On Wines Wine Club Partner, McCarthy’s on the Riverwalk, will be hosting a wine tasting on Tuesday, November 25. The event starts at 6:00 p.m. and runs until 7:30 p.m. there will be some great wines and food. The final wine list, menu and cost of the event are still in the works, but stay tuned as more information will be forthcoming. These are great opportunities to taste some outstanding wines and you will not want to miss these events. I hope you can attend.